There is no day more important than the day you get married to the love of your life. It is the day your individual lives become one and you start your journey down life's road together. While you are planning this amazing day, there are so many things to consider. This includes where the service will be, where the reception is to be held, what dress to wear, who to invite, and many other details. If you are looking for something a little different to add to the excitement of this joyous day, why not consider using 36-inch wedding sparklers to add a touch of magic to your day? Most of us are familiar with the little sparklers given to children on the 4th of July to keep them amused and away from the fireworks. Other than the stick itself, which can get quite hot, they are considered to be fairly harmless. Wedding sparklers are for the most part bigger versions of these that are designed to produce more sparks and to burn longer. These simple special effects are becoming very popular as a way to break the ice between guests and to add that certain touch of magic to your special day. For centuries going all the way back to pagan days, rice has been tossed over the heads of the newly married couple. It was considered as good luck and a way to wish the couple prosperity in their lives. Today, it is simply a tradition that is slowly beginning to fade away in favor of things like confetti and of course 36-inch wedding sparklers. For a while, people thought that the grains of rice would swell up in the stomachs of birds who helped clean up after the wedding, and kill them. Thanks to scientific research, this has been proven to be untrue. Instead, the real problems were that the grains of rice made sidewalks and other paved surfaces slippery and dangerous, causing falls and they left quite a mess to clean up. This was also the reason why confetti has been banned at some churches and wedding facilities. Wedding sparklers, on the other hand, are considered to be quite safe if handled carefully and the only mess they leave behind is a burned-out metal rod. Once the sparkler has burned out, your guests simply place them in a bucket of water to cool down. When the celebration is over, someone empties the water and throws the metal rods in the trash or sends them to the recycler. These amazing enhancements to your wedding come in a variety of sizes ranging from 10-inch all the way up to 36-inch wedding sparklers that will burn for up to 3.5 minutes. The best brands come with easy light tips so that there isn't a long line of people struggling to get their sparklers lit while you are trying to exit your church or reception hall. 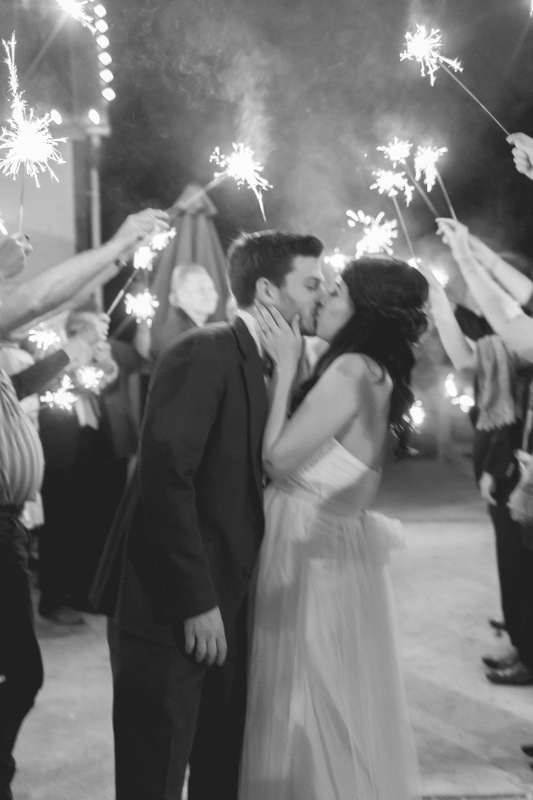 Wedding sparklers are a wonderfully unique way to make your special day one that no one will soon forget.